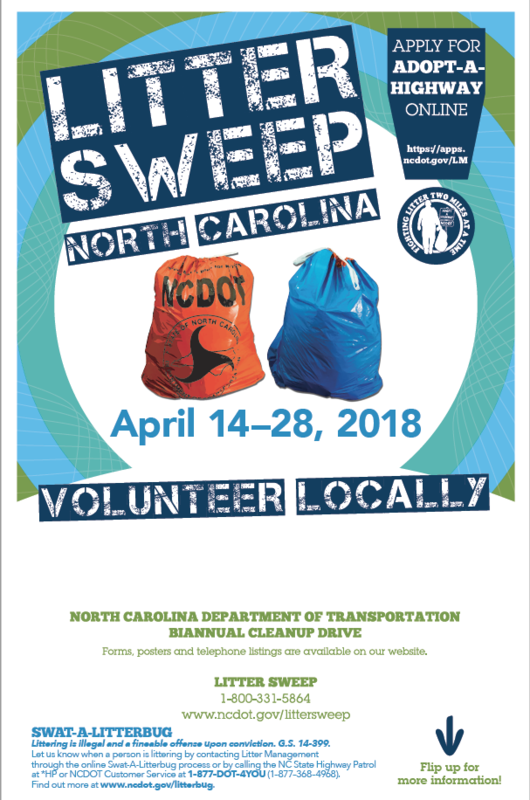 The NCDOT sponsored “Spring 2018 Litter Sweep” runs April 14-28. Litter Sweep is the NC Department of Transportation’s statewide roadside litter removal initiative in which volunteers from local businesses, schools, non-profits, and community groups participate in local efforts to help clean up North Carolina’s roadways. Adopt-A-Highway groups are also encouraged to participate. For more information, you may click on the 2018 Litter Sweep “News Release”. 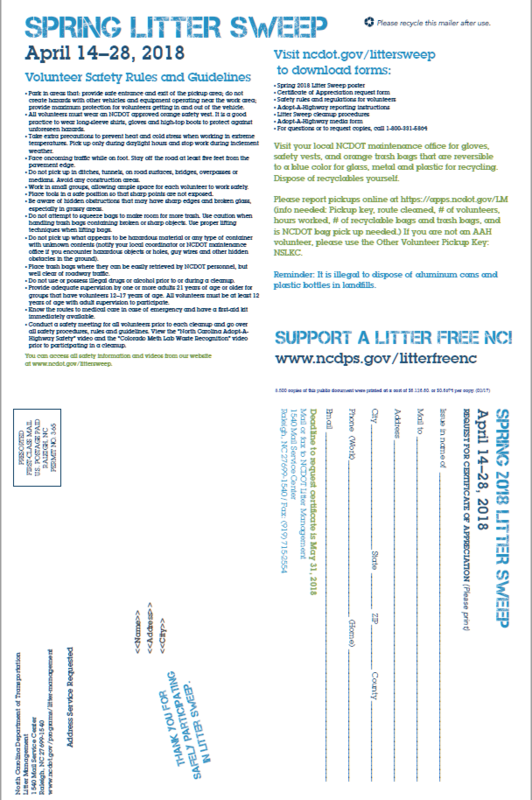 Please review the flyer below or visit the website at: www.ncdot.gov/littersweep.